Matapalo is a remote area? street? I don’t even know what to call it- on the Osa Pensinsula in Costa Rica. It is a great surf spot and a great place to just be. 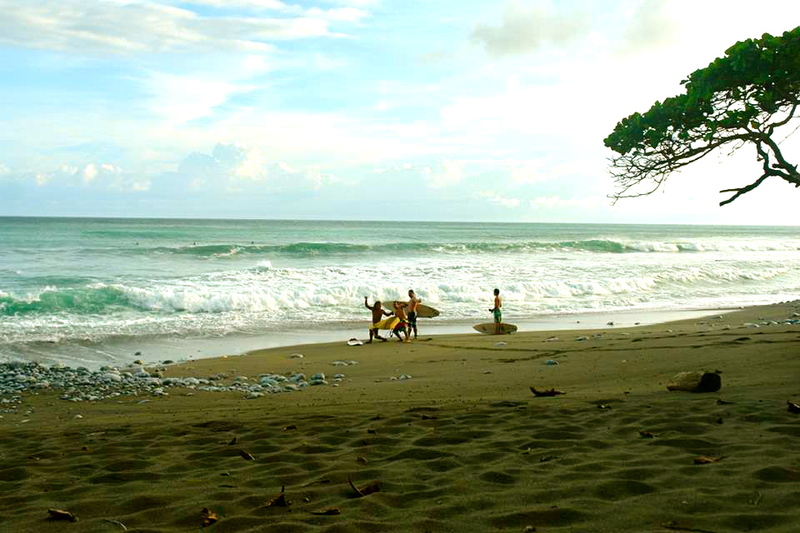 Don’t go to Matapalo because..surf is amazing and no one likes crowds! Watching the force of the ocean is a rush worth many roller coaster rides. The ocean is not always forgiving and that’s what makes Matapalo’s world class surf exhilarating to watch. There’s plenty of action when there’s swell. Come and get it only if you dare. Please don’t go to Matapalo because…nature will blow your mind. Capuchin monkeys, squirrel monkey and howlers will greet you in all different ways from their lush tree homes, and if you’re lucky you can see toucans, hawks and sloths. It’s like being inside National Geographic-happening unrestrained before your eyes. So don’t come unless you will be mindful of this habitat. Don’t come to Matapalo because…you are in the middle of nowhere. No one can find you. The nearest grocery store is 18Km away. But you don’t even care. In fact, you never want to leave. You don’t need Nordstroms, museums, fancy restaurants and dressy shoes. The beach is your mall. The museum is all around you, just look up. And who needs restaurants when you have freshly caught fish, avocados and mangoes? As for shoes.. go barefoot. So don’t come unless you are ready to step into paradise. 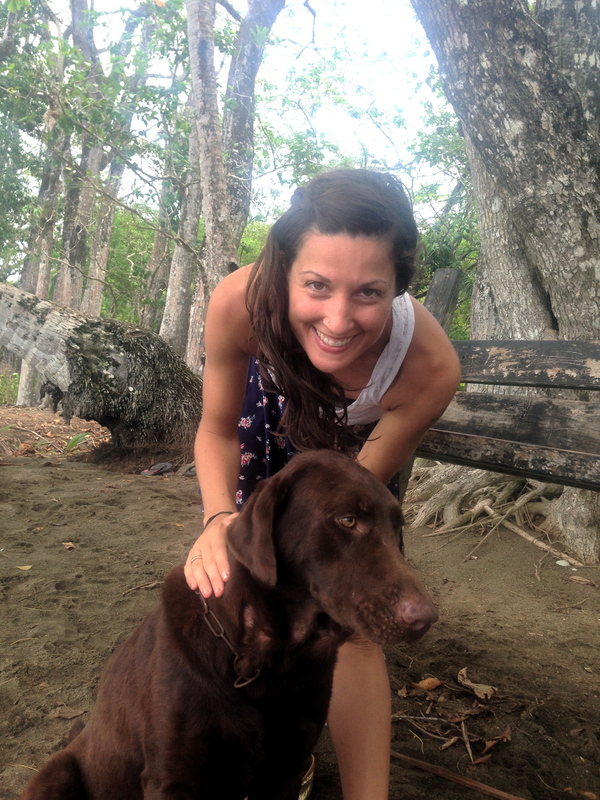 Please stay away from Matapalo because… The community here is like no other. Most people here are rough around the edges, but they and know how to live in balance with the jungle. They’ve experienced the rainy season and draught. They’re easygoing, genuine people. A little crazy too. What’s there not to like? So don’t go to Matapalo unless you have a little bit of crazy in you too. Don’t go to Mapalo because it’s really difficult to reach. This place can be described in 4 magic words: off the beaten path. Which means,no cheesy tourists who couldn’t survive a day in the wild. No lousy westerner who can’t speak a word of Spanish and thinks Ticos eat Mexican food. Matapalo operates natural selection at it finest. If you can’t make it with your car through the rocky, bumpy,steep road…you’re out. Matapaolo has the magical power to restrict the type of people it attracts. So don’t come unless you are ready to be one of the few and keep it as perfect as it is. “Don’t go” is like inviting everyone to come. Publishing this only brings more tourists, and as you wrote, Matapalo already is natural selection at its finest. So let’s keep it the beautiful secret it already is. Stop blogging about Matapalo. Ivan, my intention with this blog post was not to invite or not invite people. It was simply a different spin on describing a place I found very special. I am certainly not going to be the one determining the amount of tourist flow with my blogging or lack-thereof. Like I mentioned in the post, Matapalo operates its own natural selection and at the same time the area does rely predominantly on tourism for its livelihood, so a right balance of visitors and privacy is probably the ideal combo for a place like the Osa Peninsula. I agree with Ivan. Even though this is a nice “article” I think this invites more than rejects.. and as Ivan says.. we don’t want that. Roberto, like I said to Ivan, my intention with this blog post was not to invite or not invite people. It was simply a different spin on describing a place I found very special. I am certainly not going to be the one determining the amount of tourist flow with my blogging or lack-thereof. Like I mentioned in the post, Matapalo operates its own natural selection so there is not too much worry about having a mass tourist flow. At the same time the area does rely predominantly on tourism for its livelihood, so a right balance of visitors and privacy is probably the ideal combo for a place like the Osa Peninsula. I’m all about sharing our beautiful country with others, This article will not change the fact the The Osa Peninsula is a world re-noun Eco tourist destination and it supports our local economy. Come visit and enjoy one of the most beautiful places on planet earth! Just don’t forget to leave behind only your footprints on the sand…respect our planet. PURAVIDA!